The moon will pass in front of the sun on Friday, March 20, casting a large shadow over the Earth. 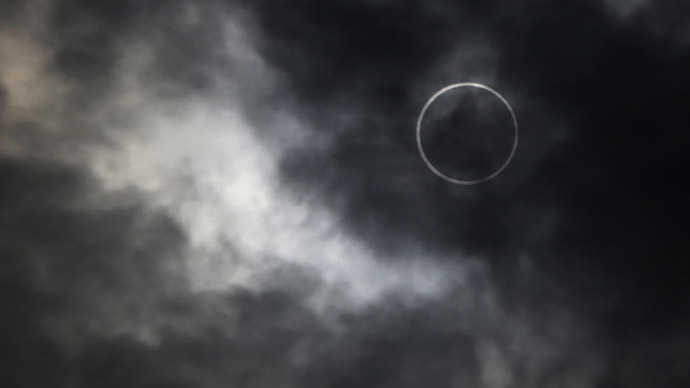 The partial eclipse will last for around two hours and will be visible across Europe. It is expected to affect energy supplies due to an increasing reliance on solar power. Energy experts warned of possible blackouts. Since 1999, the use of solar power in Europe as a proportion of all renewables has risen from 0.1 percent to 10.5 percent. However, despite an increase in demand for solar power in Britain, especially in the sunnier southern part of the country, solar power still only accounts for 1.5 percent of the UK’s electricity. In northern Scotland, more than 95 percent of the sun will be covered by the moon, while in London and the UK’s South East 85 percent will be obscured. Those planning to watch the rare cosmic lightshow should not look directly at the sun with the naked eye, as doing so can seriously damage vision and even cause blindness. The solar eclipse can be viewed using specifically designed filters, which feature a thin layer of aluminum, chromium or silver on their surfaces. The blackout will begin in the UK at 08:45 GMT. The maximum eclipse, when the moon is nearest the middle of the sun, will occur at 09:31 GMT, ending at 10:41 GMT. The next total solar eclipse is expected to occur on August 12, 2026.